Transport Links to Pickering and beyond, including buses and trains. 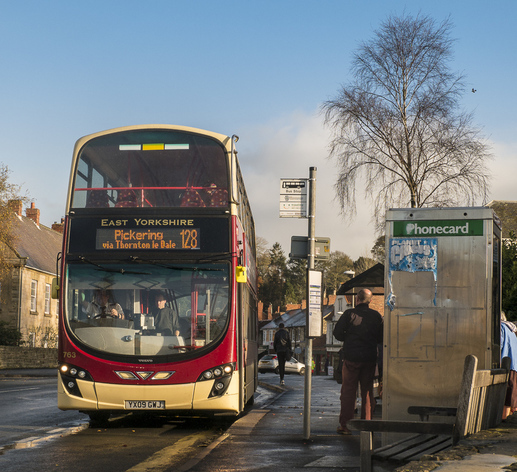 Regular buses from the town are available to York (via Malton), Malton, Thirsk, Helmsley, Whitby, Scarborough and Leeds. The nearest mainline railway station can be found 8 miles away in Malton, and the historic North Yorkshire Moors heritage steam railway offers a seasonal and scenic route North to Levisham, Goathland, Grosmont and Whitby.